I’m back with my final blog hop of the season, and this time I’m sharing my Hot Chocolate Bar for Christmas. If you’re coming here from Hearth and Vine, welcome! 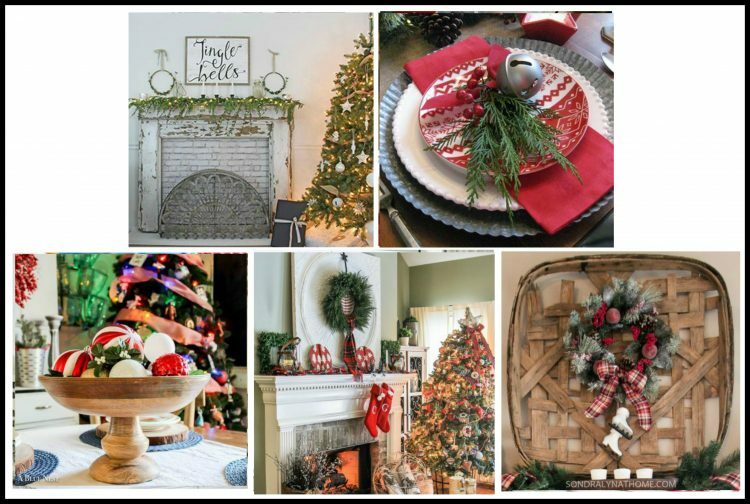 I’m thrilled to be participating in another fun Christmas blog home, this time hosted by the lovely Barb Garrett of The Everyday Home. We’re under half a foot of snow here in the Boston suburbs, so why don’t you dust those flakes off your coat and come on in out of the cold! This past Saturday, I decided on a whim to add a hot chocolate bar to my kitchen. Hey, it’s the season for it, right? I received this awesome sliding door cabinet from Kirkland’s a few weeks ago. It was meant to be for another blog hop but there was a delay so I needed to find a new home for it. I instantly knew it would be the perfect place to set up this little station. Doesn’t it have so much farmhouse charm? I corralled all my fixings plus some cute Rae Dunn mugs into my tiered tray and proceeded to make myself a marshmallow loaded peppermint hot chocolate. Trying to take photos before I drank the whole thing was very difficult! For those that are not huge hot chocolate fans, one – are you serious!? and two – I’ve added some peppermint mochas for you to enjoy instead! Mmmm..everything tastes better with a whole lot of mini marshmallows piled on top! Oh, and those chocolate and marshmallow stirrers? Delish! You can pick them up at your local HomeGoods. The DIY chalkboard is playing host to my first ever attempt at hand lettering. It’s not perfect, but it’s not too shabby either. I created the letters on my computer, then printed it off to copy. If you don’t think you’ll be able to copy just from looking at it, this is a great tip for easy chalkboard lettering. Plus, you can download my image here. You don’t need a whole lot of fancy stuff to set up the perfect hot chocolate bar for Christmas – just a little imagination! 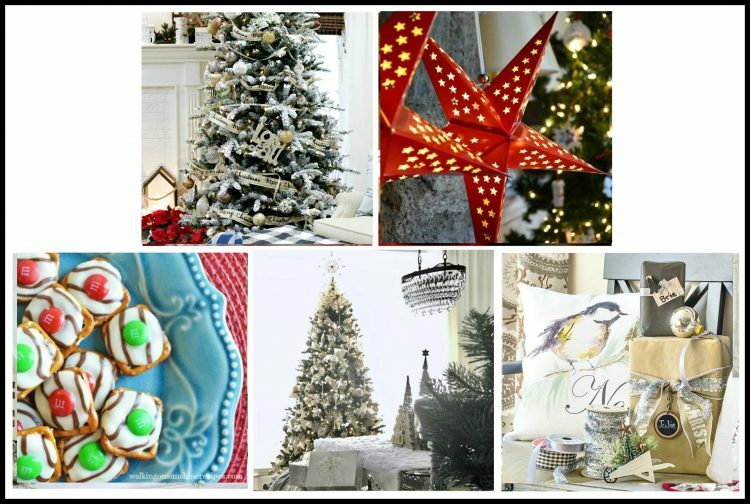 Now, how about you head of to the next stop, The Everyday Home for more Christmas decor inspiration! 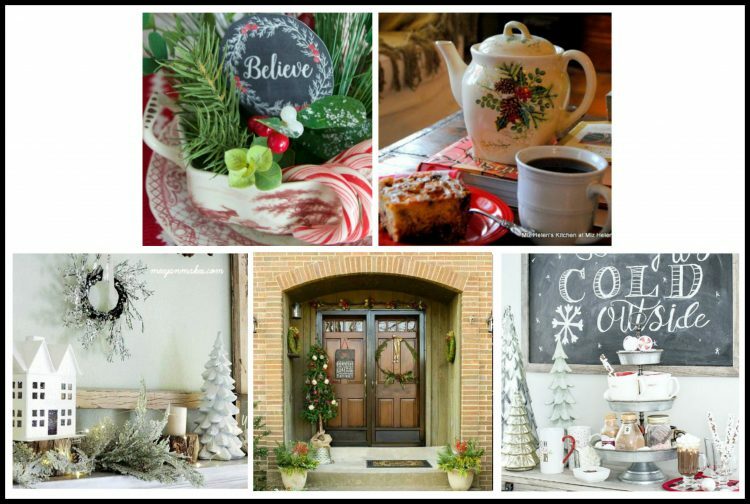 Welcome to the ‘Tis the Season Blog Hop hosted by Barb Garrett and The Everyday Home. First off, your home looks like something out of a movie! And secondly, that coffee bar is perfection…. I’ll be right over!! Your hot chocolate bar looks like the perfect escape from all that snow! What a charming…and tasty…place to warm up and drink in a little bit of chocolatey holiday cheer. Everything looks so festive. We had snow here this weekend, too and while I may not be the biggest fan of those flakes, when it comes with the prospect of a warm drink in such a pretty space, I say bring it on. Yum! Merry Christmas! 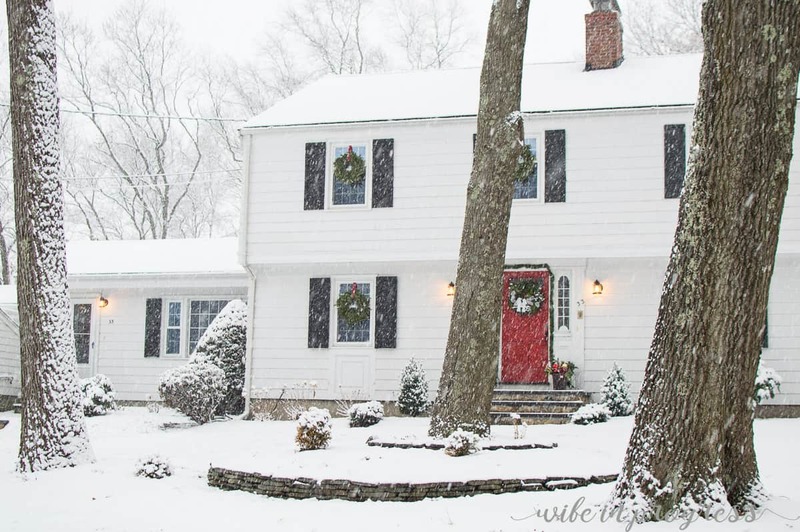 What a festive area for your family and guest to gather for a delicious cup of hot chocolate. Your chalkboard is a perfect piece for this area. I would love stopping by this well appointed hot chocolate bar to enjoy my favorite winter time beverage. It is fun sharing this blog tour with you and thanks so much for sharing your awesome hot chocolate bar! Yum, chocolate!! I’m a true lover and a nice cup of hot cocoa is perfect this time of year. I live in SW Pa and it went from pretty mild to awfully cold recently, so it’s time to bring on the hot beverages. The fact that you have created such a gorgeous space for all the trimmings is awesome, and something all your guests will love over the holidays and throughout the entire winter season.